Canadian researchers are looking into the impact of non-severe incidents occurring with children riding and handling horses. To date, research has largely focused on severe accidents requiring emergency medical care. In the research being undertaken now, PhD Student Lara Genik and Dr. C. Meghan McMurtry of the Psychology Department at the University of Guelph are working to better understand the types of painful incidents that children commonly experience when handling and riding horses. 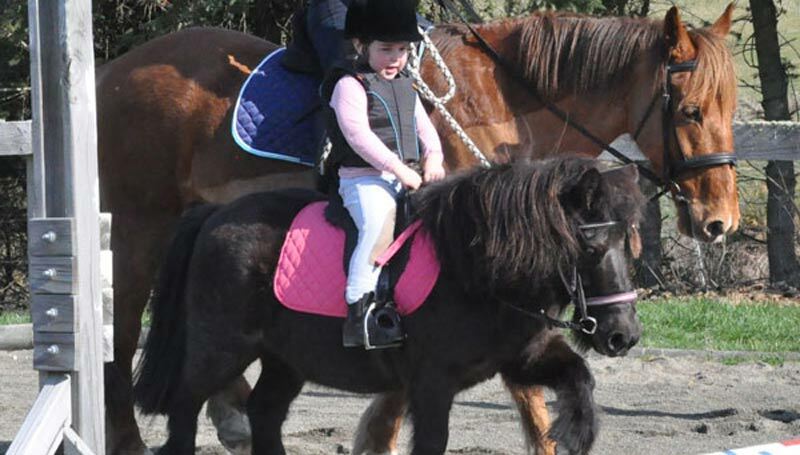 Little is known about less severe incidents – for example, how often they occur, where they occur, and the impact of these incidents on children’s safety behaviours around horses. Researchers hope to learn more about pain associated with horseback riding and safety practices (ie, helmet use, supervision) of children who ride. Researchers also want to know about the impact of painful incidents on parent and child behaviour and perceptions of the sport. It is hoped that the findings will help to inform safety-related programming for children and those who supervise them. While horseback riding is a sport which can also have a number of positive psychological, social and therapeutic effects for individuals of all abilities, it can also bring safety risks during both handling (being kicked or bitten) and riding (falling off) horses. At last year’s Royal Agricultural Winter Fair in Toronto, Ontario, 124 children and 128 of their parents completed surveys with research assistants. All children received horse treats from Martin Mills as a thank you for taking the time to participate. Data analyses are ongoing, and a summary will be released by Equine Guelph.